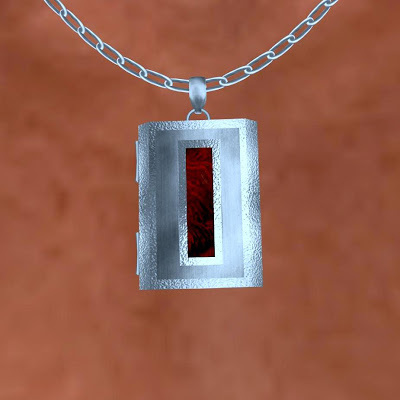 Second Life's greatest male lover (trust me on this one people) and incredible all-around person - Benja Aquila-- gave his partner and fiancee Ryce Skytower this gorgeous locket yesterday for their second month anniversary - they were partnered on November 13, 2012. Ryce has one problem -- whenever he wears it, he can only think of Benja and waits patiently for him to log on every day. But there are worst problems once can have. My advice to Ryce is to keep the locket in the closed position so he is not distracted by looking at handsome Benja all the time.